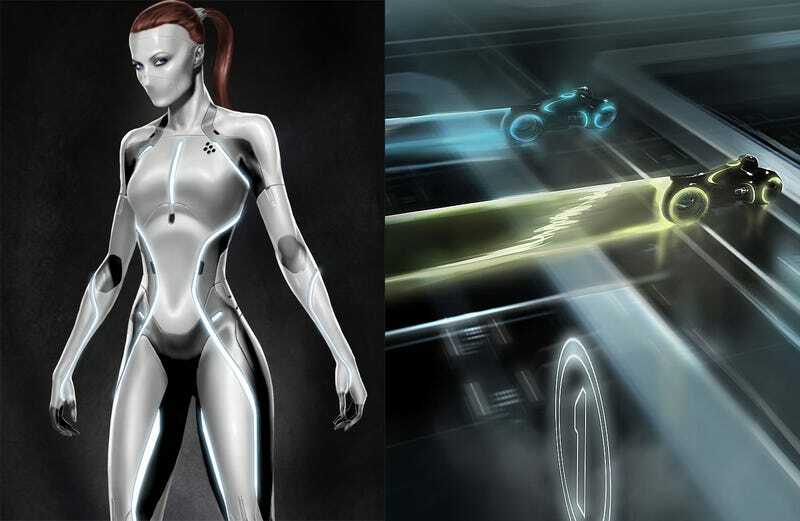 The motherlode of Tron Legacy concept art and high-res stills! The latest concept art is especially fascinating because it gives some more insights into how Disney developed the look of Tron Legacy, including some slightly weird ideas that didn't pan out, like the mouthless woman above. You can see that some of the concept art has filenames that start with "TR2N," which was the original title for this sequel, meaning it goes back a ways. It's obvious that a lot of thought went into updating the first major CGI movie for our slick, 3-D movie world — and we're still hoping that the finished product holds up over two hours on the big screen. Here's the newly released high-res concept art, posters and stills. What do you think of it?